We've got that wobbly don WBBL back at the Church of Love for his first solo set with us in a while. 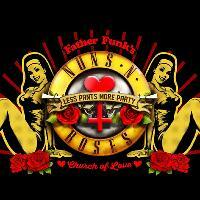 Well it wouldn't be a Church of Love without the Father Funk himself. After the raucous scenes at last year's Shindig Weekender we just had to bring this to Bristol. Get ready to rock! Rose Rokoko's Sleazy Sisters will be bringing that little bit extra, even we never know what delights they have in store! !